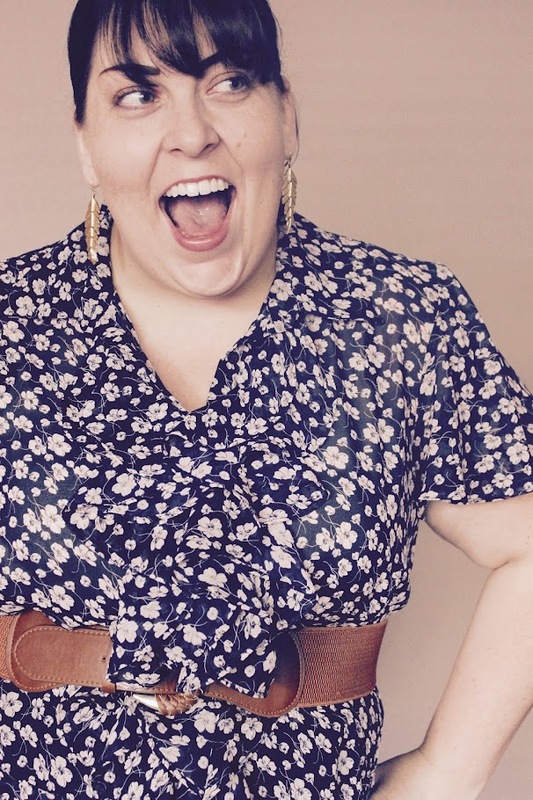 So welcome to the Let's Go Thrifting Top 6 Secondhand Finds Blogiversary List. 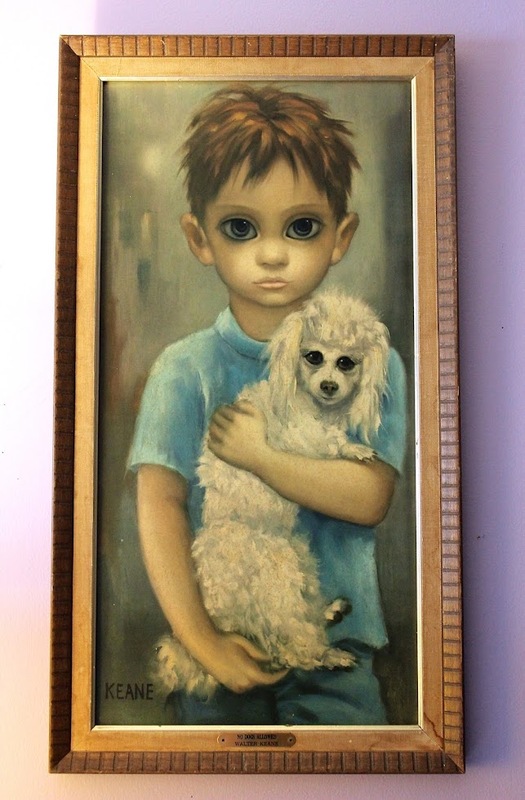 And at the top of that list would be be the beautiful framed lithograph of Margaret Keane's "No Dogs Allowed." Interestingly, much of her early Big-Eyed paintings were improperly credited to her husband, an interesting legal battle that makes her kitschy saucer eyed waifs all the more rare to find in the thrift store. Any regular reader of Let's Go Thrifting knows I just adore my collection of vintage photographs. But this doubly-vintage framed group portrait might be my favorite of the bunch. Two couples from the late 1960s posed with a novelty 1930s Ford in front of a faux sprawling suburban landscape? Take my 99 cents, Goodwill! 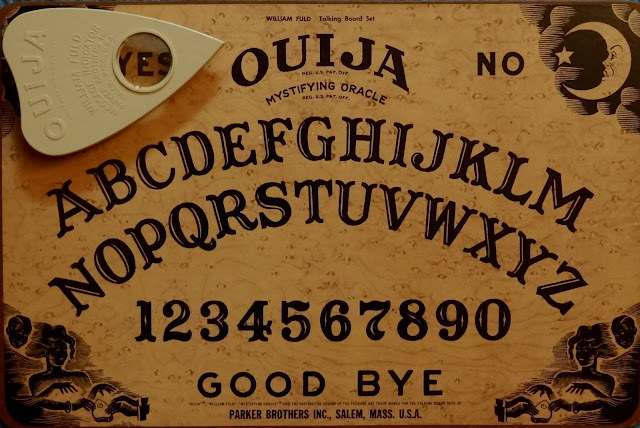 I always wanted to have a vintage Ouija board. So when I found this secondhand William Fuld Talking Board Set at a yard sale on the Fall Equinox...I thought it as an especially fortuitous... maybe even magical find. This 1966 edition of the Ouija took spiritualism into polite society...with the instructions encouraging "a gentleman and a lady" to sit opposite each other and summon up some ghosts for a little chit-chat. Another dollar spent, another awesome secondhand find. Ah yes, the dream car. Or at least the Fisher Price version of the dream car I'll likely never be able to afford. I always wanted an original VW Minibus. In a burnt sienna, or pea soup green...a color fitting to the era. 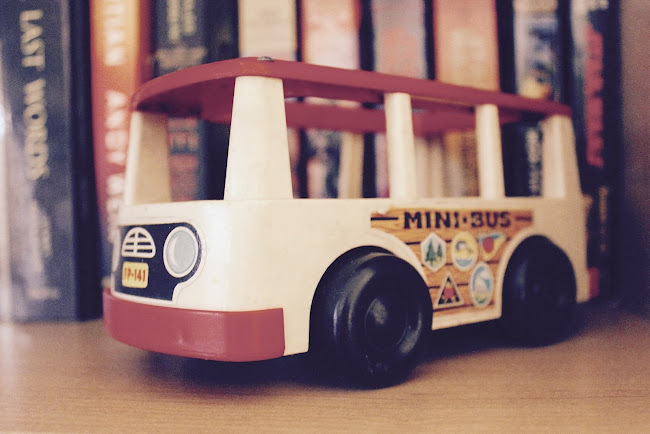 But this adorable 1969 toy replica will have to do. And it was unearthed from one of the many bins of the Goodwill by-the-pound outlet for mere pennies. It can comfortably seat six...so who wants to hit the open road? Here a key. There a key. Everywhere a skeleton key! But seriously. I love keys. You all know that by now, as I've featured them several times over the years here on Let's Go Thrifting. But this key is my very favorite. The patina and rust. The heart. And the tattoo design that came later. This is the one. I don't know what was once locked that this key opened. But I hope it was as secretive and special as I imagined it to be. 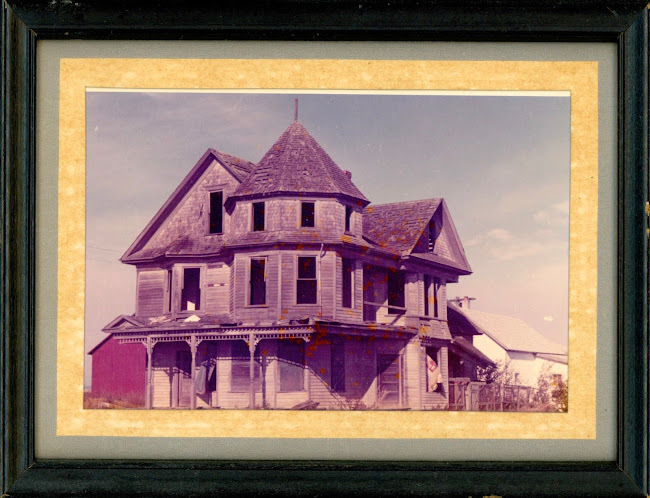 Originally an impulse buy for 99 cents from Impact Thrift, I had the intentions of adding this dilapidated house to my collection of beloved vintage photographs. Little did I know this house was the sole remaining photograph of a legend local to Skagit County, Washington. Built in 1903, The Ball House was the site of several tragedies and natural disasters, leading to abandonment and decay. It fell to the Washington winds in 1996. And aside from a few sketches, there were no known surviving photographs of the estate. Except for this one that I found at a Montgomery County thrift store, which I later sold to an eager buyer from Washington state looking to relive the memories of the property that she passed by with family until it's eventual demise. 99 cents was well worth the sense of mystery and adventure that this photograph brought me. If you would like to know more about these items, be sure to click on the photos to read the original blog post in which they were first featured. While it was originally somewhat difficult to narrow my favorite secondhand finds to just 6...I had to consider what qualities I found to be most important. Sure, there's affordability and monetary value...but those qualities are present in every thrifted item I own, of which there are many. It had to be more than that. 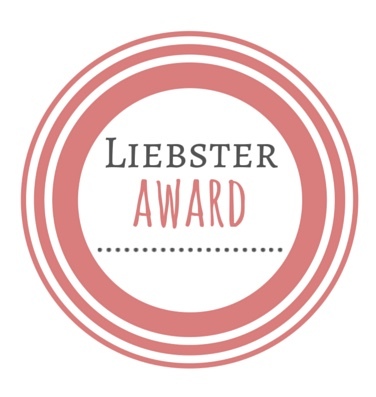 It had to be about personal desirability and what I found to be most sentimentally valuable. And I think these were the best of the best. Hopefully the next 6 years will bring even more. 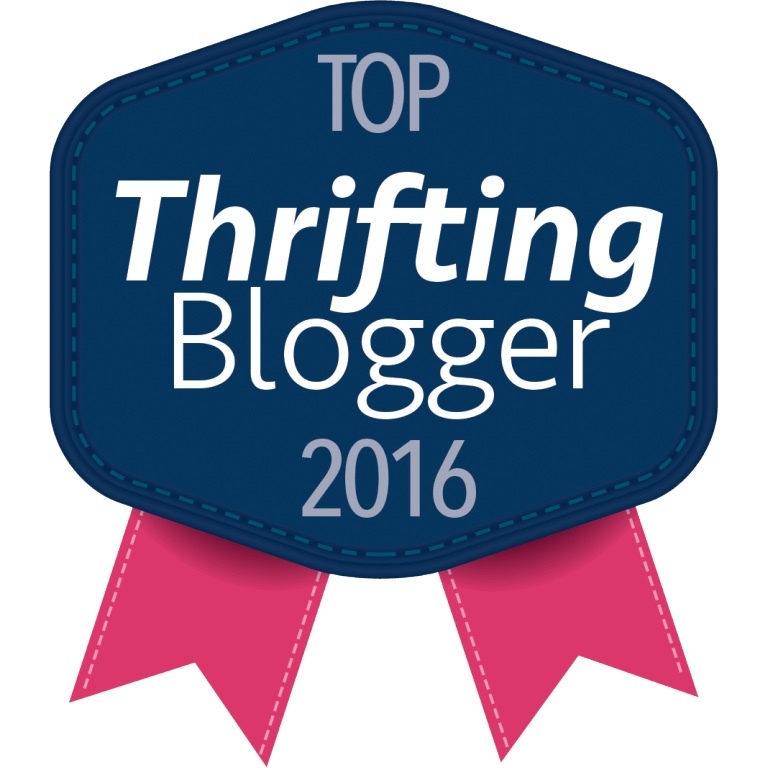 Thank you, dear readers, for being part of the Let's Go Thrifting community these last 6 years. Which Let's Go Thrifting finds have been your favorite? Oh Jackie dear, what an awesome selection of finds and way to toast your blog's 6th year of life! Happiest congratulations on half a dozen years of blogging and sharing your passion for thrifting with the world. I absolutely adore your site and have so enjoyed reading a good many of your posts here over the past few years. Here's to a fantastic next year of your blog's life and the prospect of many more sensational thrift store finds to come all throughout it. Congrats! Love this post and these wonderfully touching finds. Can't wait to see what the next 6 years brings! Congratulations on 6 years of teaching and entertaining us! Do post this to the Vintage & Antiques Community. It's too good not to post there. Many thanks for your kind worry, Jess. So glad you enjoy Let's Go Thrifting! It means a lot that someone with your style and blogging skills enjoys what I'm doing. Thank you, Pam! Hopefully I'll still be finding all the good vintage wares for the next 6 years! And thank you, Margaret! I thought I did share the post. But I will again. 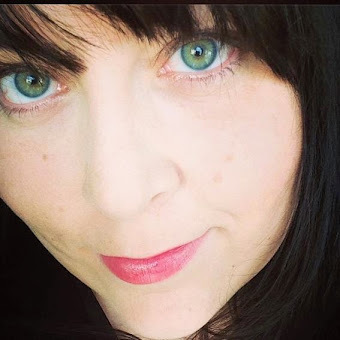 I'm so glad to be a part of the Vintage & Antiques Community!